I am a Licensed Psychoanalyst in New York State. 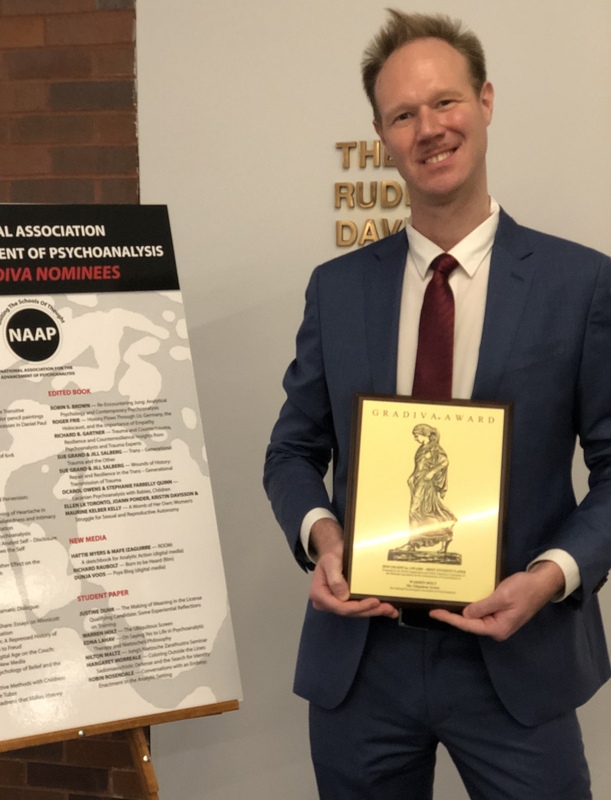 I have completed the License Qualifying Program at the National Psychological Association for Psychoanalysis (NPAP), and am a candidate in advanced standing. I am a member of the National Association for the Advancement of Psychoanalysis (NAAP), and have served as the chair of the Analysts in Training group for the national organization. I have a background in both the arts and sciences, and hold a Masters degree in Fine Arts. I have written extensively about psychoanalytic theory and technique and have won the 2018 Gradiva award, the national award for psychoanalytic writing for the best candidate paper.